This is an album about people in a landscape. People past and present. People near at hand and people far away. People in love. People at peace. People in great danger. People once remembered, people now forgotten. People moving through streets, people trapped in relationships. People unsure of who they once were or who they might one day become. 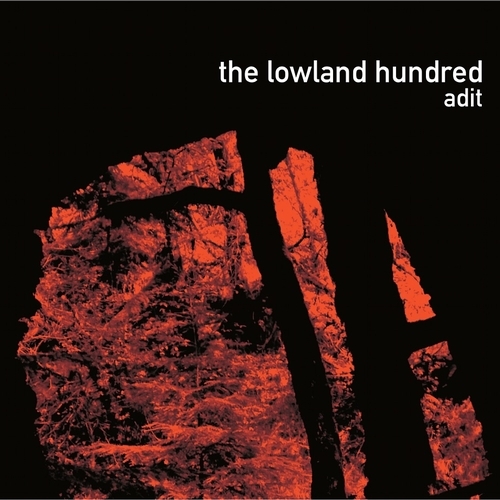 Bucking the current trend for vinyl, The Lowland Hundred made this album specifically for the CD format. It is the only physical format that allows them to present a continuous flow of sound from start to finish. Limited to 400 copies, this edition features sleeve design by the band's longtime collaborator Stuart Thompson, as well as a lyric booklet illustrated with photographs, taken by the band themselves, of the landscape that inspired the music. "This is visionary and deeply poignant music - 4****"
"If Under Cambrian Sky conjured spirits from the open air, then Adit looks to the earth, leading us into a hidden world just beneath the surface of our own, but running deeper than we could fathom."